It’s time to party, Party for the Planet that is April 16 & 17 (rain date April 18). This year’s event highlights the Zoo’s conservation and animal care: Join us in engaging experiences that empower you to help conserve wildlife and wild places. Visit the new Faces of the Rainforest exhibit, participate in animal encounters, hear New Inca Son: The Best in Andean Music & Dance’s music of South America, join a drum circle, and learn about animals from around the world. Also, test your soccer skills with the New England Revolution, bowl with Lang’s Bowlarama, and take photos with mascots like Roger the red panda! Please note: Activities run from 10:00 am – 3:00 pm each day, and are FREE with Zoo admission. On Sunday May 5th, 2019, the May Fair tradition continues with ,Dino-Mite” to be held, RAIN or SHINE, from 11 am to 3 pm, at 50 Rector Street, Academy Field/Swift Gym in East Greenwich. The whole family will enjoy lots of fun and activities for kids, a silent auction & raffle, live music and plenty of good food. Come join the FUN! On May 17, 2019 the 5th Annual AfterPromEG will be held at East Greenwich High School starting at 11 pm. This all-night extravaganza continues the prom experience in a fun, safe environment. Entertainment, music, games, prizes, food AND it’s FREE to Juniors, Seniors and their dates regardless of prom attendance! It’s that time of year for making a list and checking it twice! Santa will be arriving in North Kingstown via helicopter on the Tarbox campus to visit with all the local little boys and girls Saturday, December 8th from 11am-1pm! The Tarbox family will be spreading the holiday cheer and creating holiday memories, writing letters to Santa, indulging in some tasty treats and you’re invited! Jack-O-Lantern Spectacular, presented by Citizens Bank, at Roger Williams Park Zoo is celebrating 30 years of Halloween magic October 4 – November 4. Called EXTRAORDINARY by both CNN and USA Today, this year’s show includes more than 5,000 intricately carved pumpkins featuring scenes of wizards, fairytales, and the luminaries of great myths and legends, alongside superheroes, and historical figures who changed our world. Revel in the sights and sounds of the season and celebrate this otherworldly experience. NEW THIS YEAR – join us for special event themed nights. All events are 6 – 8 pm and included in the price of your Jack-O-Lantern Spectacular ticket. For more than two generations, the Cranston Greek Festival has been held the on the church grounds, the weekend after Labor Day. The Festival marks the “Official End of Summer in Rhode Island. More than 25,000 people will visit the Cranston Greek Festival over the course of this fabulous three-day event of Food, Fun, Greek Dancing and Culture. Spooky Zoo is back, offering daytime outdoor autumn activities for the whole family! Come trick-or-treat with us, plus enjoy a packed schedule of other seasonal activities, including music and seasonal entertainment, costumed characters, games, creepy crawly animal encounters, pumpkin treats for the animals and more! Activities are free with Zoo admission and all children (12 and under) dressed in costume get in for half price! Join us here at Tarbox Toyota for an up-close look at the famous Jet Truck before it races in this year’s Rhode Island Air Show. With over 36,000 Horsepower SHOCKWAVE holds the Guinness Book World Record Speed for Semi Trucks at 376 MPH! See it here: http://www.shockwavejettruck.com/ and at the Rhode Island Air Show this 2016! The airshow offers the finest aerial and static dsplays along with activities for people of all ages. From its inception the show has operated with a simple creed; put on a world class show featuring only the best aircraft and pilots and operate the show totally for the benefit of the community. For more information please visit http://www.riairshow.org/ . Taking place on Saturday from noon until 8 pm, PrideFest is held along the picturesque South Water Street Greenway, right alongside the Providence River. Many different artists perform at Pride each year. At the event, the crowds will be entertained by Lulu Locks, Jodi Jolt and The Volt, Lily Whiteass, and many more. That same evening, Saturday at 8:45 pm, the Illuminated Night Gay Pride Parade commences downtown by Kennedy Plaza and meanders through the city’s vibrant downtown. Come and see “Inside Out” on August 5th and/or “Star Wars the Force Awakens” on August 19th! This event is free of charge. This event will be hosted by the North Kingstown Chamber Charitable Foundation. Tarbox will be an executive producer of this fun filled event! If you are into fishing this is the place to be! Admission is $10 with 12 years and younger free. Sunday is family day where all women and children are free. For an admission discount please Click Here. Hours are 12pm – 8pm Friday, 9am – 7pm Saturday and 10am – 5pm Sunday. Visit http://www.nesaltwatershow.com/index.shtml for information. This event has been sanctioned by the United States Track and Field Organization and is also part of the Rhode Island Grand Prix race series. The Troopers Association is a non-profit organization that donates its proceeds to local charities. Following the race, a cookout along with refreshments will be served. Each year a race shirt has been provided to entrants with all the sponsors’ names displayed prominently. Last year there were over 900 registered runners and we hope to have even more in 2015. Visit http://www.risp.ri.gov/5k/index.php. Check out non-stop seminars, meet top captain Dave Carraro of “Wicked Tuna”, see the latest in fishing tackle and gear, and visit the Kid Zone for fun for the whole family…Plus stop by the Tarbox Toyota Hyundai Booth and ‘fish’ around for Tarbox swag, and register to win FIN-tastic prizes! Woof there it is! 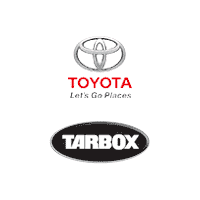 Tarbox Toyota is teaming up with the North Kingstown Animal Shelter and hoping to “Top off a Toyota” with essential items to help them care for all of their furry friends!